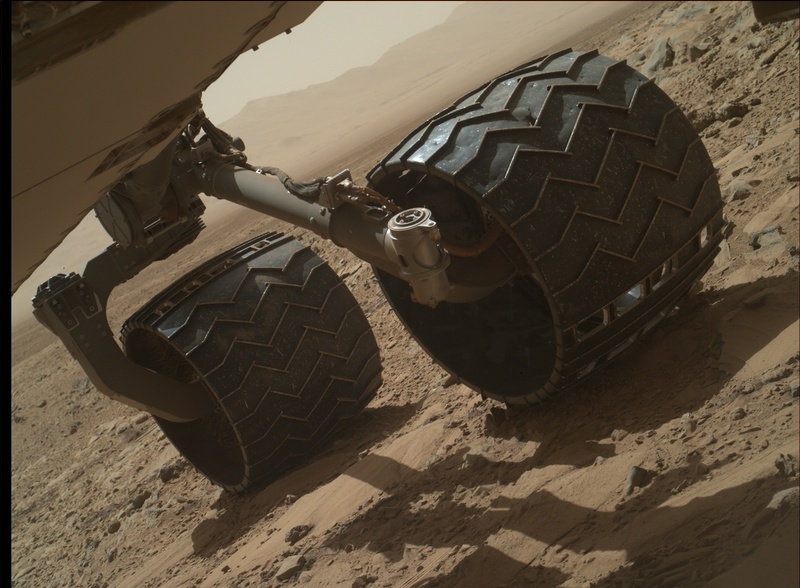 NASA's Curiosity rover has been on Mars for over a year now, and in the time has traversed nearly three miles. While its wheels are made of high-grade aluminum, they're not strong enough to last forever. 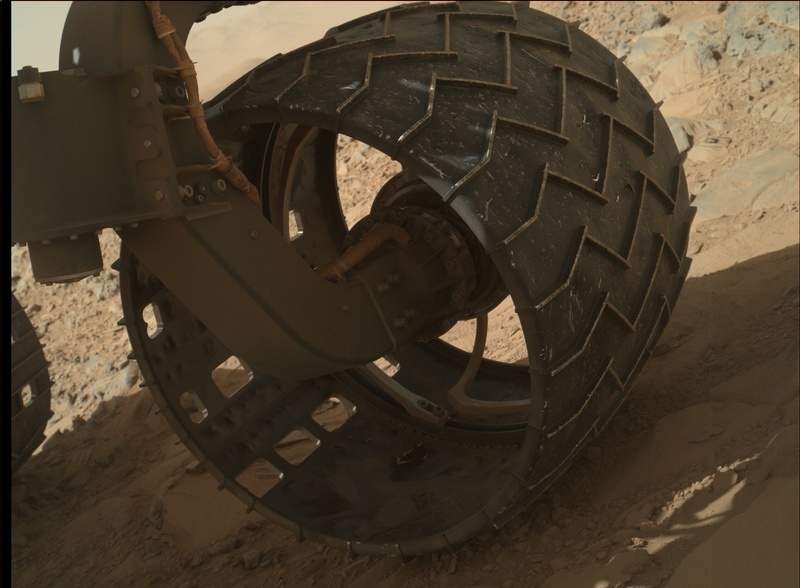 NASA announced this week it was taking an extra-long look at the wheels, and boy are they in rough shape. 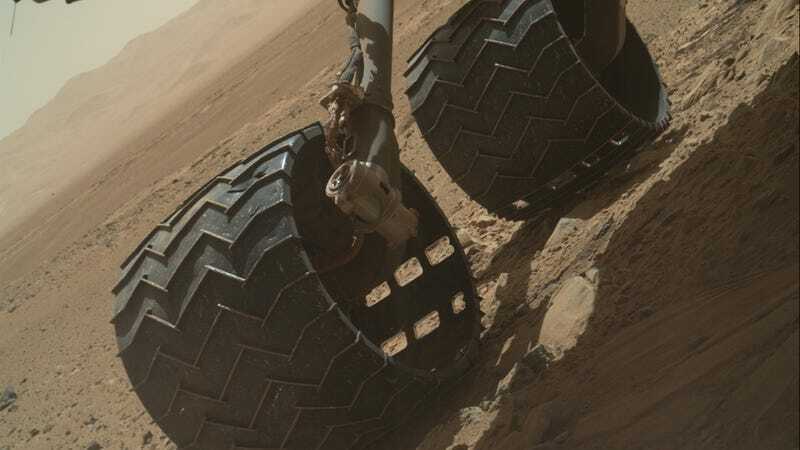 Dents and holes are to be expected after a bit of time driving on the surface of another planet, but the wear-and-tear has accelerated lately and NASA's not sure why. 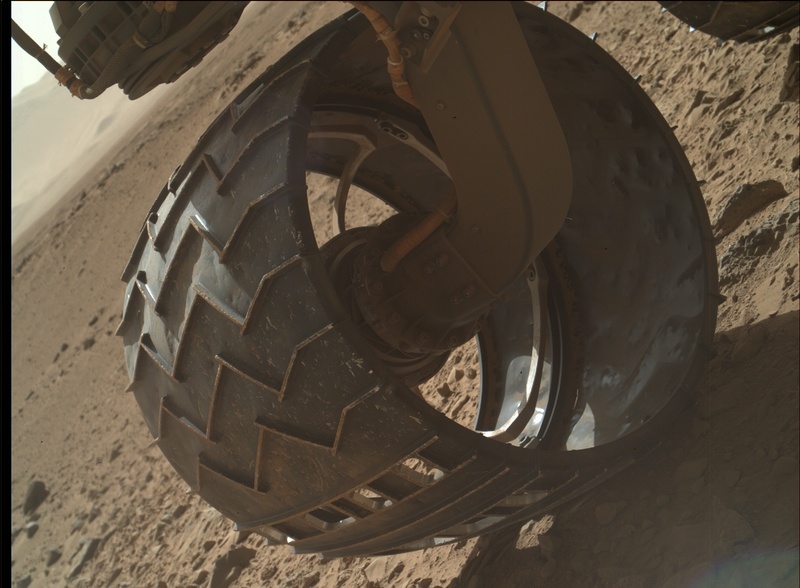 To examine the damage, they've taken a few beautiful shots of Curiosity's six wheels, and you can really see what rough terrain does to the average space-faring probe. 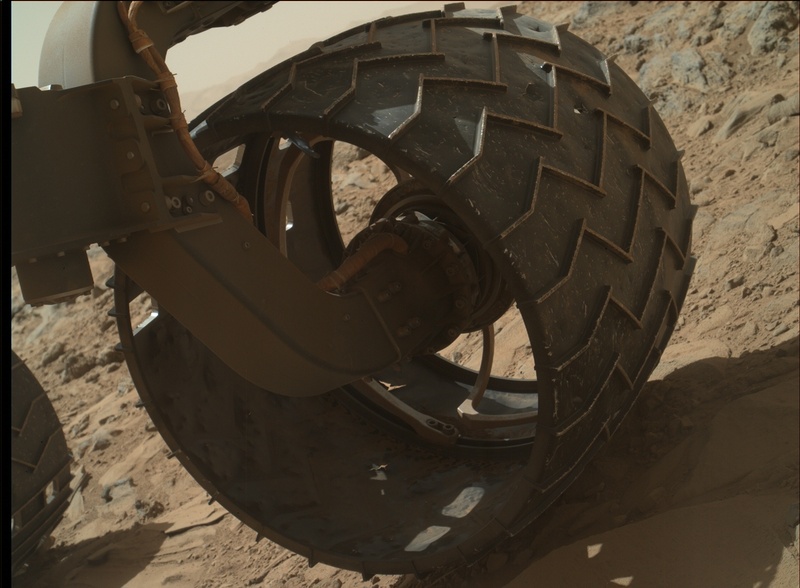 It looks like Curiosity's been through the wringer. Even in rough shape, the cosmos and the human engineering that gets us there is incredibly beautiful.